It's been revealed that ayaka will provide the new CM song for "Morinaga Milk Cocoa", which will star her husband, actor�Mizushima Hiro. The production team approached ayaka, who empathized with the feelings that were put into the CM, 'to bring warmth to the hearts of those who see it'. ayaka accepted the offer, which resulted in this special collaboration. The CM was shot on a mountain, and the temperature was said to be around 4 degrees Celsius. 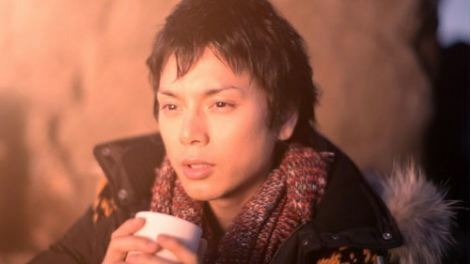 Mizushima waits for the rising sun while drinking the cocoa to warm up his cold body. As he takes in the view, Mizushima says, "This is the best way of relief." Suddenly, a cute angel appears before him, and they drink the cocoa together. 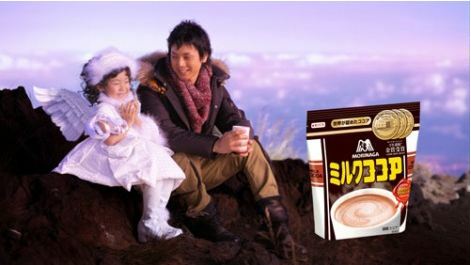 The new CM for "Morinaga Milk Cocoa" will air starting October 25th.